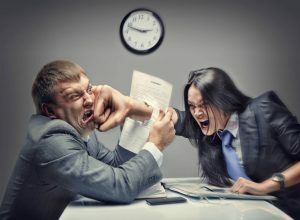 Different types of businesses may be treated the same for taxes – partnerships, S Corporations and limited liability companies – but they are very different creatures when it comes to disputes between the principal owners. The “default rules” for issues that have not been addressed in the business organization documents are very different, and the liability of individuals can be widely different. A couple of examples should give you an idea. The limited liability company and partnership statutes in many states contain provisions that permit the expulsion of a troublesome member or partner. There are standards that have to be met, and they are significant, but the member or partner who makes it nearly impossible to continue the business with their participation can be tossed out. Not so with the close corporation. Most statutes permit the minority to demand the purchase of his or her shares if the majority has acted oppressively, but not the other way around. If the majority doesn’t have the votes to fire or remove a shareholder, they may be stuck with that person. Most partnerships and limited liability statutes have a minority veto built into their structure. Unless it was previously agreed, you cannot change the basic operating documents – the partnership agreement or the operating agreement – without the consent of all of the members or partners. Corporations on the other hand can usually operate with a majority vote and can change their by-laws or certificate of incorporation. 2. Who Controls the Office? If there is going to be a protracted fight for control of the company, then control of the office is going to be a key consideration. The office is where the documents, computer systems, records and checkbook are located. The party without access to the office is at a disadvantage in securing information about the business, which may be critical if that party is trying to gain control of the operation. In a similar fashion, whoever controls the office is also likely to control the loyalty of the employees. Employees want to keep their jobs and are more likely to cast their lots with those who appear to be in control. As witnesses, they can be manipulated. The party that is likely to be ousted is usually well advised to secure whatever evidence they can before the lockout occurs, but to be careful to do so lawfully. 3. Who Owns the Intellectual Property? Many businesses have some intellectual property or proprietary process that was contributed by one or more of the principal owners and, unfortunately, the company has never documented the ownership of that intellectual property. The ousted party may have a right to use that property without the consent of the business. Consider the company that was built on the idea of a new business process and one or more of the owners contributed intellectual property that is protected by a copyright or patent. If there has not been an assignment, the company cannot be assured either of its continued exclusive right to use that intellectual property or that it will not have to pay a royalty. 4. Are There Restrictive Covenants in Place? Most business divorces settle and, in most cases, the settlement includes some type of agreement not to compete. Those restrictive covenants, having been bought and paid for, are generally enforceable according to their terms. If the case goes all the way to judgment, however, the circumstances in which the ousted principal cannot compete with the business are extremely limited. If there are no restrictive covenants in place, the parties need to be careful about the rainmaker, even if he or she was impossible to work with, taking sales to a new business after they are fired. Again, the ability to compete without restriction depends on both the form of the business entity and the agreements of the principals, but many majority owners are surprised to learn that they can be forced to buy the shares of a recalcitrant minority who simply uses the money to set up a competing business. 5. Who Will Control the Checkbook? A frequent issue in business divorce litigation is the payment of attorney’s fees and litigation expenses. Those in control of the checkbook would obviously prefer to use money from the company accounts. Courts, however, usually will require equal treatment. Thus if those in control of the company wrote a check from the operating account to hire a lawyer to defend an oppressed shareholder suit, they may well find themselves having to write a check to the plaintiff’s lawyer in an equal amount. In a similar fashion, the minority member who does not control the business should make sure that the court is requiring equal treatment and demand the financial documents to make sure that the business is not funding the litigation. Indemnity agreements are another related issue. On occasion the corporate governance documents may contain unconditional agreements to indemnify some of the parties for some of the allegations at issue. At other times, the indemnity obligations of the company may be discretionary and require a vote of disinterested directors. Given the cost of business divorce litigation, these are important considerations. This short list is not intended to exhaust all of the considerations that arise when a business divorce is in the works, but to point out some of the key issues in the early stages of litigation.